Jenny Lee is a writer and producer on the new ABC Family sitcom Young & Hungry. She was also a writer and producer of the TBS sitcom Ground Floor and the Disney Channel's number-one-rated kids' show Shake It Up for all three seasons. The author of four humor essay books, Jenny is also the author of Elvis and the Underdogs. She lives in Los Angeles with her 110-pound Newfoundland, Doozy (and yes, it's a toss-up on who's walking whom every day). 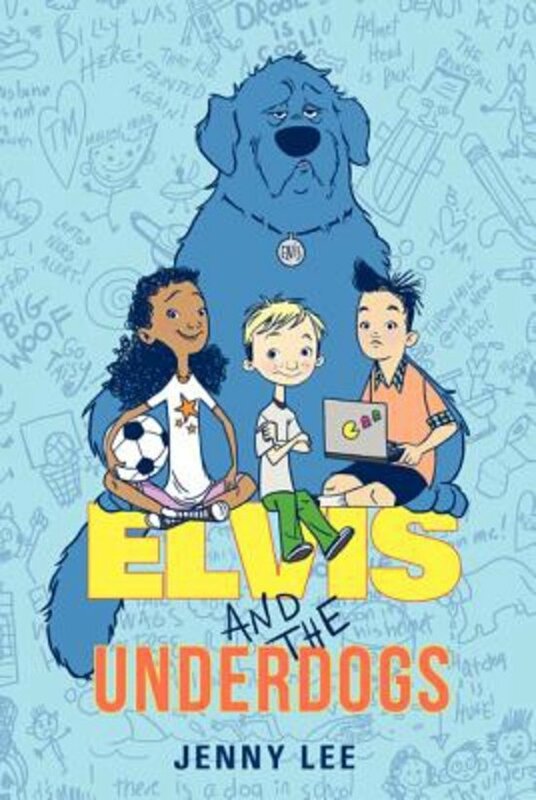 Elvis and the Underdogs was selected by IndieBound to be one of the 10 New Voices, which highlights books by first-time authors for both kids 8-12 and teens. Eleven year old Warhol’s Mom is a semi-famous tattoo artist. She wakes him up in the middle of the night and they board a train leaving New York City to move to small town in Texas that literally isn’t even on the map. There Warhol must uncover the mystery of why they are there, who is the old man in a coma in the hospital, why the parents of the town are so opposed to the temporary tattoos he wears, and help the other kids in the town figure out a way to win the national contest that would help put their town of Valentine on the map (literally). It’s a story about finding out who you are, where you belong, and that your best friend is still your best friend even if he is far away.